Install the program onto your computer. To start mirroring your phone screen, start the QuickSupport app and wait for it to show your ID (as shown below. 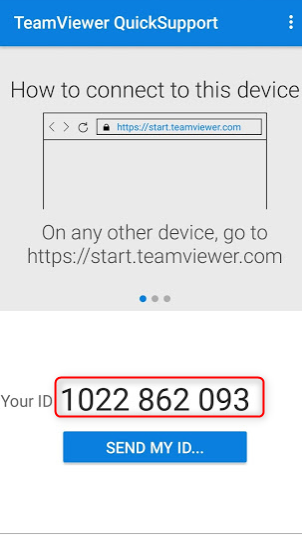 Open Team Viewer on your computer. Click the 'remote control' section on the left. Enter the ID shown on your phone into the 'Partner ID' section and click 'connect'.